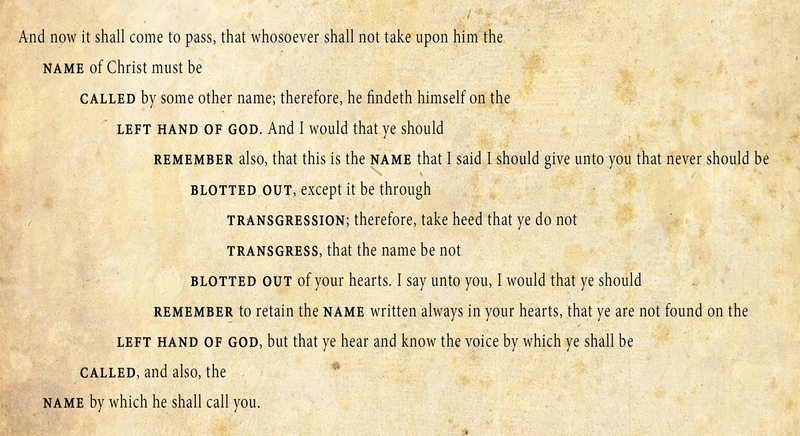 And I would that ye should remember also, that this is the name that I said I should give unto you that never should be blotted out, except it be through transgression; therefore, take heed that ye do not transgress, that the name be not blotted out of your hearts. Editor’s Note: This year marks 50 years since the discovery of chiasmus in the Book of Mormon on August 16, 1967. To celebrate this 50th anniversary, throughout July and August Book of Mormon Central will publish one KnoWhy each week that discusses chiasmus and its significance and value to understanding the Bible, the Book of Mormon, and other ancient literatures. Be sure to check out our other KnoWhys on chiasmus and the Chiasmus Resources website for more information. Welch was a missionary serving in Regensburg, Germany, and chiasmus was an ancient literary technique he had only recently learned about. The possibility was tantalizing—could it be possible? Could this twenty-year old be on the verge of a major breakthrough in Book of Mormon scholarship? Now, fifty years later, it has become increasingly clear that this was a watershed moment that has forever influenced and enriched Book of Mormon studies. Welch was called to serve in the South German Mission, arriving in Munich on August 17, 1966. While serving in the city of Regensburg almost a year later, Elder Welch and his companion attended an academic lecture at the Regensburg Priester Seminar (the “Priests’ Seminary”). It was at this lecture that Welch first learned about an ancient type of inverted parallelism commonly used in biblical Hebrew literature called chiasmus. The lecturer made frequent reference to a new book he had recently read, published a year earlier by Paul Gaechter, called Die literarische Kunst im Matthäus-Evangelium (The Literary Art in the Gospel of Matthew). After the lecture, the elders stopped at the nearby bookstore and were able to pick up a copy of Gaechter’s monograph. Welch had finished Gaechter’s book only a few days earlier when he awoke that August morning with the gripping thought of what chiasmus might mean for the Book of Mormon. So Welch got out of bed and picked up his copy of Das Buch Mormon, wondering: If it is here, where? He felt prompted to begin reading where he and his companion had left off the night before, in the middle of King Benjamin’s speech. As he read on into Mosiah 5, he noticed, in verse 11, the German word Übertretung (transgression), appearing twice, one stacked directly on top of the another. Welch then found other parallel words and phrases repeated in the adjacent lines above and below. Ultimately, a chiastic pattern that stretched across Mosiah 5:10–12 jumped out at him in a powerful way. Significantly, the next day, August 17, marked Elder Welch’s one-year anniversary since his arrival in Germany as a missionary, making his discovery of chiasmus in the Book of Mormon a very fitting center point of his two-year mission assignment. He began, from that day on, to share his discovery with everyone he could, from newly-met investigators of the Church to clergymen and biblical scholars. After his mission ended, Welch had the opportunity to meet Father Paul Gaechter in Innsbruck, Austria, and share his discovery with him. Welch remembers talking with him for about half an hour, and that, as they stood up to leave, Gaechter kindly addressed him in “a very serious, approving tone,” and said, “You must continue your work on this subject. … You have found a life’s work.” Welch would get home from his mission the end of August 1968, and less than a year later he published the very first study on chiasmus in the Book of Mormon in BYU Studies. The discovery of chiasmus in the Book of Mormon would have a profound impact on academic efforts to study of the Book of Mormon as an authentic ancient Hebrew text. Now, 50 years since Welch’s discovery of chiasmus in the Book of Mormon, we see that his find is still reverberating in scholarly publications on the Book of Mormon. There has been a much greater focus on looking at the book as a masterful literary work and examining it as an authentic ancient text. For instance, Welch’s groundbreaking work led to further studies of parallelisms and other ancient Hebrew literary techniques in the Book of Mormon. Donald W. Parry’s Poetic Parallelisms in the Book of Mormon: The Complete Text Reformatted takes the entire text of the Book of Mormon and reformats it so that readers can clearly identify its poetic forms. Jack’s efforts to plumb the depths of chiasmus during the 1970s also stimulated other types of literary analysis of the Book of Mormon. Many faithful Mormon scholars have rightly surmised that where chiasmus could be found, there just might be other literary discoveries to be made. 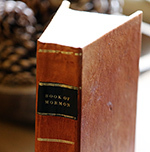 In addition, if the words in the Book of Mormon were chosen precisely and positioned to preserve and convey complex patterns such as chiasmus and other verbal configurations, then it follows that every word in the Book of Mormon should be plumbed and examined to see what other significant underlying meanings each one might contain. Before the discovery of chiasmus in the Book of Mormon, its texts had not been read that meticulously. But since that time, the text of the Book of Mormon has been scoured and dissected, analyzed and compared more intensely and comprehensively than ever before, literarily, culturally, historiographically, geographically, politically, legally, religiously, and spiritually. As a result, diligent readers today, fifty years later, still rightly wonder what further insights, treasures, and revelations this amazing text may even yet continue to yield up. For Welch, the study of chiasmus has indeed become a “life’s work.” In addition to discovering a wide variety of fascinating features in the Book of Mormon, the Bible, and other areas of great interest, he has become recognized among biblical scholars as an expert on chiasmus. In 1970, he completed his master’s thesis, comparing the presence of chiasmus in the Book of Mormon, the Bible, and other ancient texts. In 1974, he published on chiasmus in Ugaritic literature in an international scholarly journal, which led to the collaboration of a broad group of expert contributors on a volume of collected essays called Chiasmus in Antiquity, edited by Welch. That volume, published by an internationally respected academic press, featured an essay by Welch on chiasmus in the Book of Mormon. Eminent Biblical scholar David Noel Freedman praised this book and called special attention to Welch’s “unique treatment of the Book of Mormon,” and considered the work “indispensable.” More recently, Welch has been the driving force behind a massive archive of online chiasmus resources hosted by BYU Studies at chiasmusresources.org. As Welch pointed out in his 1969 BYU Studies article, the discovery of chiasmus helps us see the artistry, complexity, creativity, and profundity of the Book of Mormon, as well as helping us interpret the meaning of the text. John W. Welch, “Forty-Five Years of Chiasmus Conversations: Correspondence, Criteria, and Creativity,” 2012 FairMormon Conference address, online at fairmormon.org. John W. Welch, “The Discovery of Chiasmus in the Book of Mormon: Forty Years Later,” Journal of Book of Mormon Studies 16, no. 2 (2007): 74-87, 99. Robert F. Smith, “Assessing the Broad Impact of Jack Welch’s Discovery of Chiasmus in the Book of Mormon,” Journal of Book of Mormon Studies 16, no. 2 (2007): 68–73, 98–99. John W. Welch, “The Discovery of Chiasmus in the Book of Mormon: Forty Years Later,” Journal of Book of Mormon Studies 16, no. 2 (2007): 79, emphasis added. Paul Gaechter, Die literarische Kunst im Matthäus-Evangelium, Stuttgarter Bibel-Studien 7 (Stuttgart: Katholisches Bibelwerk, 1965), 9, as cited in Welch, “The Discovery of Chiasmus,” 78. See Welch, “The Discovery of Chiasmus,” 79–80. John W. Welch, “Parallelism and Chiasmus in Benjamin’s Speech,” in King Benjamin’s Speech: “That Ye May Learn Wisdom,” ed. John W. Welch and Stephen D. Ricks (Provo, UT: FARMS, 1998), 348. Welch, “The Discovery of Chiasmus,” 80. For the full story, see Welch, “The Discovery of Chiasmus,” 74–87. Welch, “The Discovery of Chiasmus,” 85. John W. Welch, “Chiasmus in the Book of Mormon,” BYU Studies 10, no. 1 (1969): 69–84. Several examples include: Noel B. Reynolds, “Nephi’s Outline,” in Book of Mormon Authorship: New Light on Ancient Origins, ed. Noel B. Reynolds (Provo, UT: Religious Studies Center, Brigham Young University, 1982), 53–74; Allen J. Christenson, “Chiasmus in Mesoamerican Texts,” in Reexploring the Book of Mormon, ed. John W. Welch, 233–235; Sidney B. Sperry, “Types of Literature in the Book of Mormon: Allegories, Prayers, Songs, Genealogies.” Journal of Book of Mormon Studies 4, no. 1 (1995): 106-118; James T. Duke, “The Literary Structure and Doctrinal Significance of Alma 13:1–9,” Journal of Book of Mormon Studies 5, no. 1 (1996): 103-118; Matthew Nickerson, “Nephi’s Psalm: 2 Nephi 4:16–35 in the Light of Form-Critical Analysis,” Journal of Book of Mormon Studies 6, no. 2 (1997): 26-42; Boyd and Farrell Edwards, “Does Chiasmus Appear in the Book of Mormon by Chance?” BYU Studies 43, no. 2 (2004): 103–130; Ben McGuire, “Nephi and Goliath: A Case Study of Literary Allusion in the Book of Mormon,” Journal of the Book of Mormon and Other Restoration Scripture 18, no. 1 (2009): 16-31; Joseph M. Spencer, “The Self-Critical Book of Mormon: Notes on an Emergent Literary Approach,” Journal of Book of Mormon Studies 24 (2015): 180-193; Gregory L. Smith, “‘From the Sea East Even to the Sea West’: Thoughts on a Proposed Book of Mormon Chiasm Describing Geography in Alma 22:27,” Interpreter: A Journal of Mormon Scripture 19 (2016): 355-382; Dennis Newton, “Nephi’s Use of Inverted Parallels,” Interpreter: A Journal of Mormon Scripture 22 (2016): 79–106; Matthew L. Bowen, “Nephi’s Good Inclusio,” Interpreter: A Journal of Mormon Scripture 17 (2016), 181–195. Donald W. Parry, Poetic Parallelisms in the Book of Mormon (Provo, UT: FARMS, 1992; repr. Provo, UT: Neal A. Maxwell Institute for Religious Scholarship, 2007). He was invited to contribute the lead entry on chiasmus in Encyclopedia of the Bible and Its Reception, ed. Hans-Josef Klauck (Boston, MA: Walter de Gruyter, 2012), 5:80. He has frequently been cited as an authority on chiasmus. See, for example, Craig Blomberg, “The Structure of 2 Corinthians 1–7,” Criswell Theological Review 4, no. 1 (1989): 5; Wayne Brouwer, The Literary Development of John 13–17: A Chiastic Reading (Atlanta, GA: Society of Biblical Literature, 2000), 25 n.10, 37, 39 n.41; David A. Dorsey, The Literary Structure of the Old Testament: A Commentary on Genesis–Malachi (Grand Rapids, MI: Baker Academic, 2004), 30 n.8, 10; David Mark Heath, Chiastic Structures in Hebrews: A Study of Form and Function in Biblical Discourse (PhD diss., University of Stellenbosch, 2011), 62, 309; Matthew Thomas Gerlach, Lex Orandi, Lex Legendi: A Correlation of the Roman Canon and the Fourfold Sense of Scripture (PhD diss., Marquette University, 2011), 177 n.43; de Wet, “Chiasm, Chiasmus: II. Greco-Roman Antiquity, III. New Testament,” in Encyclopedia of the Bible and Its Reception, ed. Hans-Josef Klauck (Boston, MA: Walter de Gruyter, 2012), 5:80, 81; Michelle L. Bellamy, The Elijah-Elisha Cycle of Stories: A Ring Composition (PhD diss., Boston University, 2013), 56–57; Robert Hariman, “What Is a Chiasmus? Or, Why the Abyss Stares Back,” in Chiasmus and Culture, ed. Boris Wiseman and Anthony Paul (New York, NY: Berghahn Books, 2014), 65 n.7. Welch, “A Study Relating Chiasmus in the Book of Mormon to Chiasmus in the Old Testament, Ugaritic Epics, Homer and Selected Greek and Latin Authors” (M.A. thesis, Brigham Young University, 1970), 135–150. John W. Welch, “Chiasmus in Ugaritic,” Ugarit–Forschungen 6 (1974): 421–436. John W. Welch, ed., Chiasmus in Antiquity: Structures, Analyses, Exegesis (Hildesheim: Gerstenberg, 1981; repr. Provo, UT: Research Press, 1999). John W. Welch, “Chiasmus in the Book of Mormon,” in Chiasmus in Antiquity, 198–210. David Noel Freedman, “Preface,” in Chiasmus in Antiquity, 8.